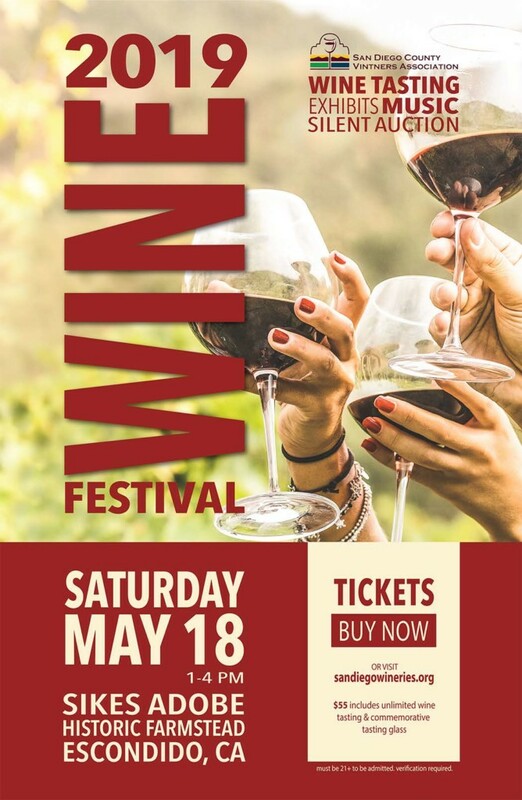 Join the San Diego County Vintners Association on Saturday, May 18 for the 2019 Annual Wine Festival! San Diego County’s finest wines will be featured – many of them award winning. Spend the day discovering the array of varietals produced county wide. This is the only wine event exclusively featuring San Diego County wines.Funds raised will support San Diego County Vintner Association education programs and marketing for the local wine region. Tickets are $55 for unlimited wine tasting. Attendees must be 21 or over to attend. Click here to buy your tickets today.